Here it is a little later than usual this week, my apologies! My husband Rich has been dealing with severe back pain and diagnosed with degenerating discs in his neck and lower back, so I’ve been playing nurse a bit the last few days. Big breakthrough this week. 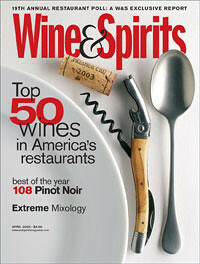 Fox Run Vineyards was recently notified that it has been named a Winery of the Year by Wine & Spirits magazine. Editor and publisher Joshua Greene noted that Fox Run is the first New York State Winery of the Year in the 22-year-history of Wine & Spirits Winery of the Year awards, honoring both American and international wineries. Fox Run will be among the award recipients honored at the Fifth Annual Top 100 event on October 14 in San Francisco. Greene states that the tastings conducted to determine the Top 100 wineries are under controlled, blind conditions and advertising in the magazine has no influence on the wines selected for tasting and evaluation. Congratulations to Fox Run owner Scott Osborn and winemaker Peter Bell and team for this honor. This award and recent coverage in other wine publications are sure to bring more awareness and accolades to the entire Finger Lakes Region as well as to the New York Wine Industry as a whole. Speaking of Fox Run, while checking their website for background information this week, I am highly impressed with the winery’s entire website especially the homepage featuring fresh content including their latest accolades and events, Trade button and Press Room including press kit for journalists and bloggers to easily gather information. The easier it is for them to access critical information such as bios, images, accolades, specific wine information and label images, and quick story ideas, the more likely your winery will receive coverage=search engine juice=traffic driven to your website and the beginning of a relationship with new customers or a reminder to visit you for current customers (this includes consumer and trade customers). If you don’t have a marketing person on staff, you may want to consider hiring a Winery PR & Marketing consultant to assist you with writing copy, selecting images and keeping your site up to date as you receive media coverage. Upcoming Family, Love, Wine blog series: I’ll be interviewing some of the key thought leaders in the Finger Lakes Wine Industry in the coming months and you’ll see their ideas and assessment of the state of the industry here. If you have a leader you would like for me to consider interviewing for my “Finger Lakes Visionaries” series, email me directly at melissa (dot) dobson (at) avantguild.com. Thanks for your interest and cheers until next week!